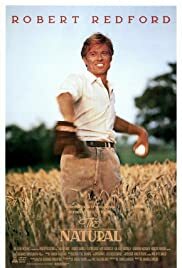 Roy Hobbs: My life didn't turn out the way I expected. Q: Why does Harriet shoot Roy and try to kill him? Q: Does the story include other elements? My son and I have watched this movie twice together. I can't think of any other movie we have watched twice--together. I'm 60 and my son is 26. There is the element of magic, of fairy-tale, of other-worldliness; there is the element of the naturalness, the character of Robert Redford; there is the element of baseball, the great sport-love of millions of boys in North America--and me back in the 1950s when I was growing up and dreamed of going to the majors; there's a touch of the sexual with Kim Basinger and Barbara Hershey----one could go on listing the pluses that this movie brings to the viewers. 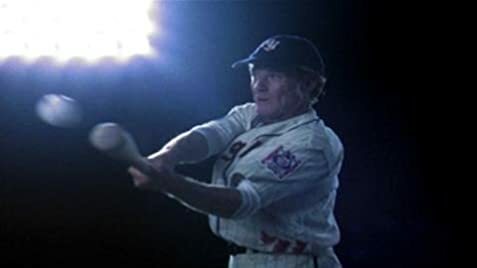 But I think what makes the movie in the end is the magic of Roy Hobbs as he hits a baseball further and harder than anyone ever has or(probably) ever will. Hobbs is the quintessence of the baseball hero and for sports lovers that's their religion. Hobbs is like Jesus come down to earth in the form of a baseball player, yet with sins of omission and commission. So, he's human and a superhero all at once.